Two years ago, when the price of gasoline hit $3.00, there was a great deal of sound and fury by the politicians about energy independence. But absolutely nothing was done. Not one thing. With the exception of the “new find” in North Dakota, there has been precious little domestic exploration. Drilling offshore on the Atlantic and Pacific shores remains banned, as does the huge oil field in the Alaska National Wildlife Refuge (ANWR), and the oil shale in western Colorado and Utah remains untapped. Coal production remains at a fraction of its potential. Coal bed methane gas remains largely untapped. No new oil refineries have been constructed in more than 30 years. No new nuclear plants have been built in more than 20 years. The only increased supply of energy is more hot air from Washington, D.C. When the price of gasoline dropped back to the low $2.00 range, the sound and fury abated. Two wasted years of mindless bickering and pandering to special interests have passed, and we are no closer to achieving energy independence. 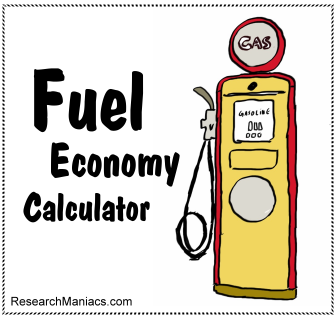 Now gasoline prices have hit the mid-$4.00 range and are moving rapidly toward $5.00. John McCain has finally conceded that we need to increase exploration including offshore drilling. Inexplicably, he remains opposed to opening ANWR. McCain also supports development of nuclear facilities — the greenest of green technologies. In contrast, Barack Obama and his far left supporters have no solutions other than to increase your pain — turn down your thermostat in the winter, turn up your thermostat in the summer, don’t use your car, don’t use modern electronic conveniences, and so on. They talk about “renewable” energy — wind, solar and biofuels — but they typically oppose most actual deployment. The land mass necessary for solar panels and wind farms make them a blight on the landscape, and thus they have opposed wind farms in the Columbia Gorge and west of Battleground, Wash.
A constant rejoinder from the left is that development of oil fields, natural gas fields, refineries, and nuclear facilities will take too many years to impact our current energy crises. They claim that a nuclear facility would take 20-plus years to bring on line and a new oil refinery at least 12 years. It could actually take less than five years to construct a nuclear facility and less than two years to construct a new oil refinery. The only reason for delay: The very people who claim it would take too long have created bureaucratic red tape that imposes 10-20 year approval processes. The long lead time for constructing additional energy resources isn’t construction; it’s government delay. While the left has successfully blocked domestic energy production in fear that someone might (gasp!) make a profit, they have allowed that lack of production to trigger enormous profits for foreign governments, many of which are hostile to America’s interests (Chavez in Venezuela, Ahmadinejad in Iran). The cost of production in Saudi Arabia and Iran is estimated to be less than $12 per barrel. At the current price of more than $130 per barrel, that represents a 1,000 percent profit. And while Congressional Democrats wax ignorant about the profits of American oil companies, not one word is said about the obscene profits garnered by nations directly and indirectly funding terrorism throughout the world. While we wait for “hope” and “change” from the nation’s politicians, it would be nice if just one of them listened to the common sense solutions that every man, woman and child most assuredly knows. Energy independence is not as simple as growing more corn or flax. It’s a complex organism that includes all available sources of energy. We should increase our use of bio-fuels, wind and solar energy, but also increase production of coal, coal bed methane, natural gas, oil and gas in Alaska and the coastal areas, refinery capacity, distribution networks, and nuclear energy. We should also improve efficiency, particularly in transportation with electric, hybrid and natural gas cars, even bicycles for the willing. America has the technology and resources to achieve energy independence within a five-year period. Only the politicians are stopping us. Time is money. Let’s not waste any more of it.